Culture Piece Magazine has brought on it’s first contributing photographer, Beza Daniel, and it’s something crazy! I first met 20 year old Beza at the Minneapolis College of Art & Design (where she’s working on her BS) a few years ago when she was one of 3 photographers for a shoot I was modeling for. Even then, I could see all of the potential this girl had! Beza aspires to make all of her shoots as unique as possible. Living in Minnesota, it’s easy to see a lot of photographers doing the same thing and moving in the same direction. 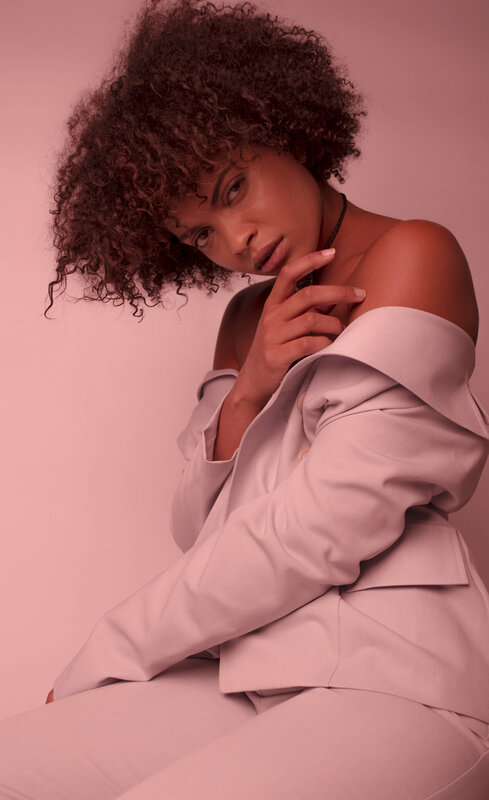 When you see a photograph taken by Beza Daniel, she wants you to think, “why the hell did she go with that direction?” A signature of Beza’s work is definitely her skills with color. She has a creative eye and it shows! For this editorial with Ignite model, Mikala Love, Beza wanted to go wild with color. It’s all about the story with Beza; you can look into the model’s eyes and feel something. The soft colors play off the mysterious and edgy Mikala. From this shoot alone, you can see the talent and skill that Beza has. It's insane how at only 20 years old, she is producing work that rivals top photographers.